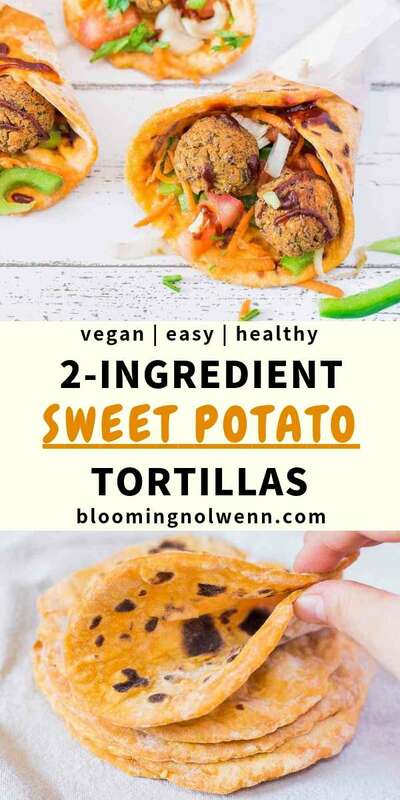 Easy and soft Vegan Sweet Potato Tortillas with only 2 ingredients! They are ready in 15 minutes and are great for tacos, burritos, quesadillas, enchiladas and more! Vegan, oil-free and healthy tortilla recipe. Do you like sweet potato? I personally love it, and I have a lot of fun incorporating it in different recipes. Making your own tortillas is very easy and I highly recommend you to try it if you are used to buying industrial tortillas. This recipe has become one of our favorites and I keep re-making it! Now, making your own tortillas does take more time than buying them, but honestly it is SO worth it in terms of taste and health. These tortillas taste just as good – if not better! – as the store-bought ones and are amazingly soft. Yes, you read that right. 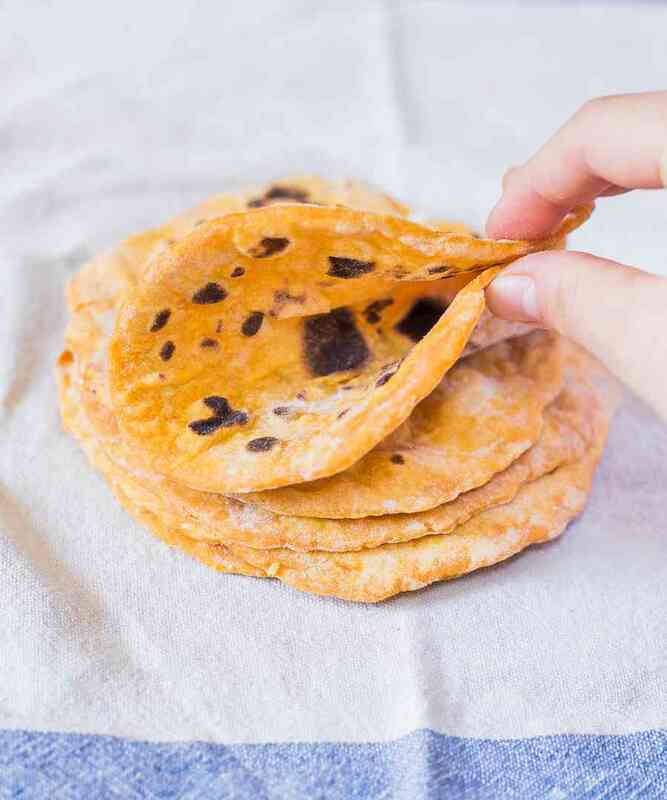 You will only need 2 ingredients to make these delicious and healthy tortillas. No oil or weird ingredients involved – just sweet potato and flour. The first time I made these tortillas, I was very surprised by how soft and flexible they were considering that they don’t contain any oil. 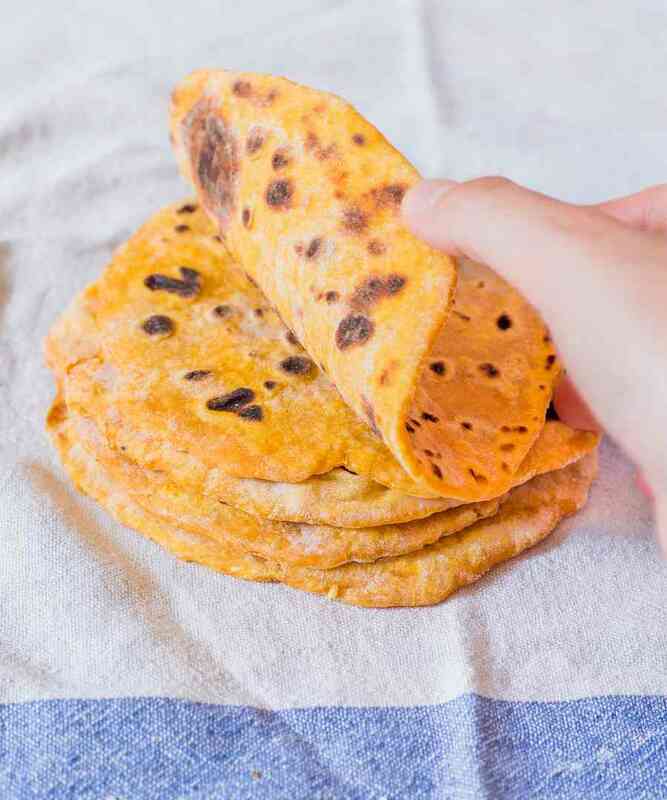 To make sure they stay flexible for a couple of days, make sure to stack the cooked tortillas on a plate covered with a clean kitchen towel while you cook the rest. 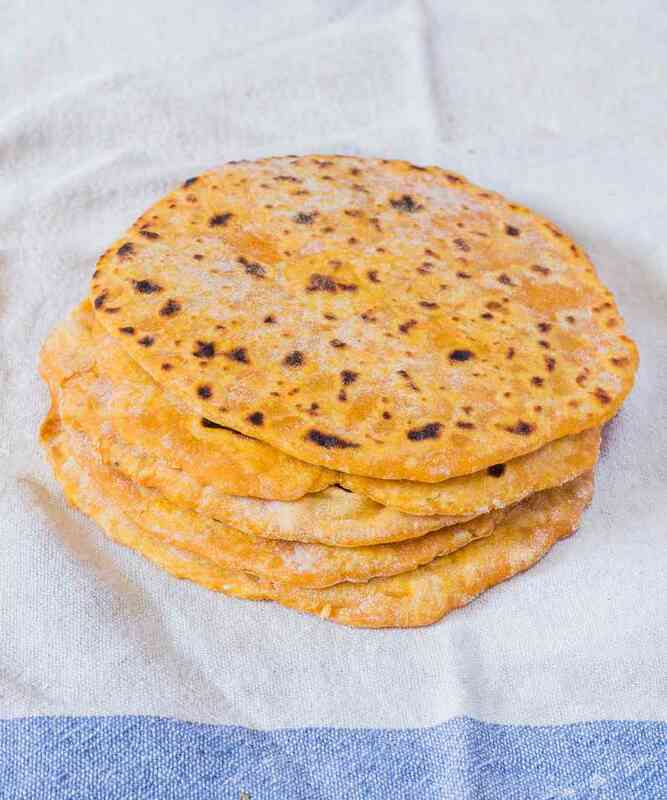 You can use these tortillas to make wraps, quesadillas, burritos, enchiladas or tacos. We love to make tacos and fill them with fresh vegetables and homemade falafels! Can I Use Gluten-Free Flour? 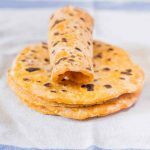 I personally haven’t tried making these tortillas with gluten-free flour, but other readers have used cassava flour with success. The tortillas ended up flexible and delicious. If you do try these tortillas with gluten-free flour, please let me know so I can update the recipe notes to help other readers. Can I Use Regular Potato? You can check out the recipe for Vegan Potato Tortillas here. EDIT March 2019: My recipe ebook is here!!! 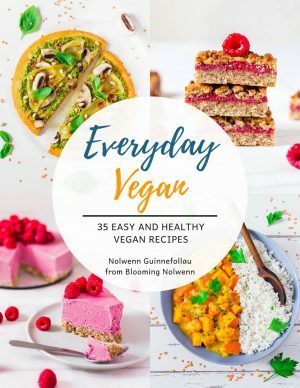 Get your copy of Everyday Vegan for 35 delicious vegan, gluten-free, oil-free and refined sugar-free sweet and savory recipes! All of the recipes are easy to make and perfect for meal prep. Have fun cooking and baking! These Vegan Sweet Potato Tortillas only require two ingredients and are very easy to make. They are very soft and flexible and are perfect for wraps, tacos and burritos. To a mixing bowl, add the mashed sweet potato and the flour and stir until well-combined. Use your hands to form a dough ball. It should not be too sticky. Separate the dough ball into 5 equal parts. Dust your working surface with flour and roll out each tortilla with a rolling pin (they should be roughly 1/2 cm thick). Don't make them too thin, otherwise they won't be as soft and flexible. Place the tortillas in a hot pan over medium-high heat and cook for 1 minute on both sides. Stack the cooked tortillas on a plate covered with a clean kitchen towel while you cook the rest. This will allow them to stay very flexible. How to make these tortillas gluten-free: Carley used cassava flour and it worked perfectly. The tortillas were flexible and delicious. Thank you for your feedback, Carley! Non-Stick Frying Pans – I couldn’t find the exact one I use but these pans are very similar and at a great price. Measuring Cups and Spoons – essentials for cooking and baking! Kitchen Towels – another baking and cooking essential. 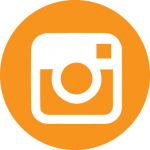 Glass Containers – these containers are great for meal prep and very handy. Do you need to cook the sweet potato first please? Yes, you do need to cook the sweet potato first and then mash it. I like to bake it whole at 200°C for 40 minutes or until fork-tender. I haven’t tried this recipe with gluten-free flour yet, so I’m not sure how the tortillas would turn out. Would I try it, I would use a combination of chickpea flour and tapioca starch to keep the tortillas soft. I hope this helps! I made these with gluten free all purpose flour and OMG delicious!!!! Any recipe you can refer me to substitute the all purpose flour (wheat AND rice allergy)? Thanks! She doesn’t use sweet potato but I’m sure you will like her recipe! Hi, do I have to mix the flour and the sweet potato when it’s hot or can I wait when it’s colder? Thank you very much for you comment 😀 I’m really glad you like my recipe! could i use whole wheat flour in place of all purpose? thanks! Yes, whole wheat flour will work great too 🙂 I hope you will enjoy the recipe! Have you tried this with almond flour? Can you please convert the recipe to cups? I tried on my own but some things convert differently. For instance, 130 gram of flour is a cup and then when I look up how many grams in a cup it’s 150g per cup so I’m getting very confused 🤷‍♀️ Thank you. 1 cup of all-purpose flour is 135g but you would be fine using 130g. I’m at ballet school and have just made these to take for my lunch to dip in salsa, I’m very impressed as I tried one, loved it and got my housemates to try it and they loved it! Tips on how to store and how long they last? They should stay soft and flexible for a couple of days if you keep them stacked on a plate covered with a kitchen towel. They are also great for freezing. Your recipes all look amazing, but I am MOST impressed by your kind and responsive comments. 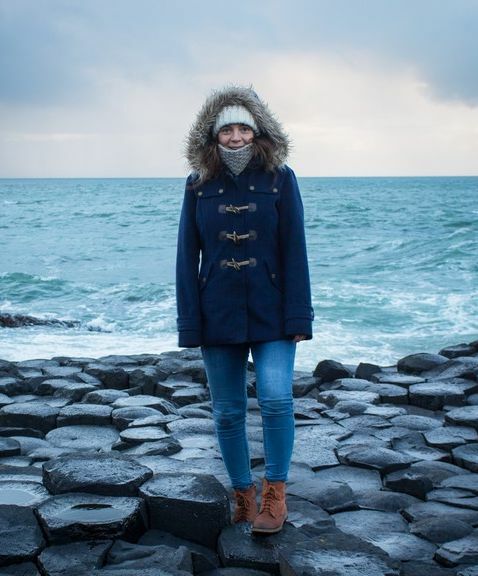 Reading your blog is a delight! This looks delicious! I’d be so honored if you shared it at our What’s for Dinner link party. Hmm it might work, but I would add a few tablespoons of tapioca flour to help the dough be flexible since there is no gluten in almond flour. I can’t wait to try these! It looks like from other reviews that the a/p gluten-free flour will work so I am going to give it a try! Thanks for a great recipe! I’ver never tried this recipe with gluten-free flour before, so I can’t tell you if it works or not. I made these GF by using cassava flour and these turned out PERFECT!! Thank you! It’s been hard to find a flexible tortilla recipe to make when you can have grains of any kind. I’m happy to hear that, Carley! Thank you for your feedback.